Our principle is "cancer care with full explanation, alternatives and choice, and doing anything we can do". We stand out of general territory of cancer medication in Japan where hierarchical philosophy based on Shushi-gaku is dominant, and aim at "patient-first" medication. Our director has engaged in cancer treatment for more than 30 years and has clinical medication experiences of more than 10 thousand cases. Many of them are on progressive or terminal stages. He has been involved deeply in execution of holistic therapy for those who have no place to go. 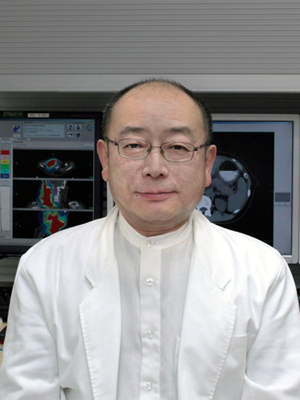 His major field of investigation is radiation therapy engineering. In 1980s he got to work on "IGRT" and "SRS/T", which now have turned out to be a frontier of external radiation. He took part in designing of exit hole of carbon-ion radiotherapy on its development stage in National Institute of Radiological Sciences, and has engaged in drawing out of therapy plan in the network board from his commencement of clinical medication. Graduated from Medical Department of Tokyo University. Graduated Medical Department of Tokyo University. Established Incorporated Medical Association, "Yukokai - Clinic C4"